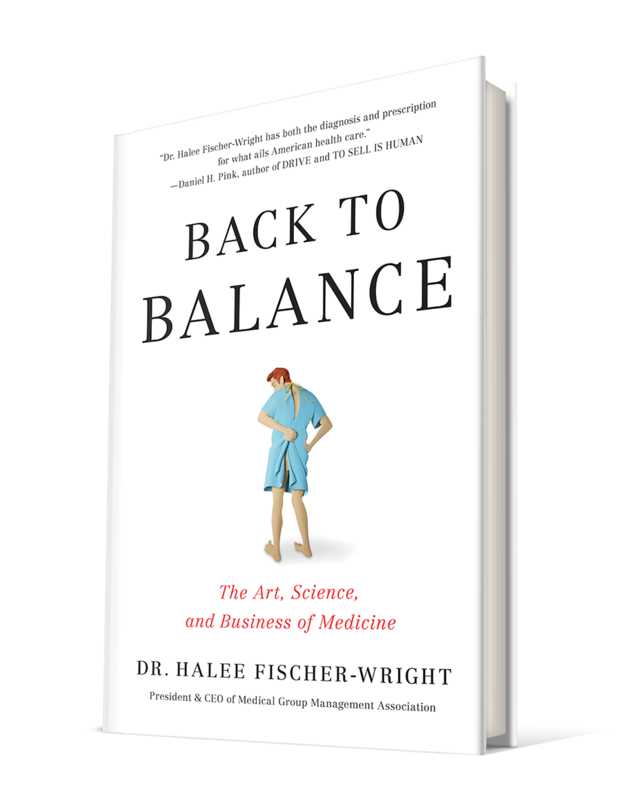 In this irreverent, persuasive book, Dr. Halee Fischer-Wright draws on her 30 years of experience to explore why we need all three in balance if we want happier patients, lower costs, and better outcomes. Through her own stories and others’, pop-culture parallels, modern research—and frequent Star Trek references—she exposes our problem: the business and science of medicine are strangling the creative, compassionate, human art of medicine. As they do, we lose the flexibility and time we need to build strong, trusting, necessary relationships, informed by smart science and enabled by good business. 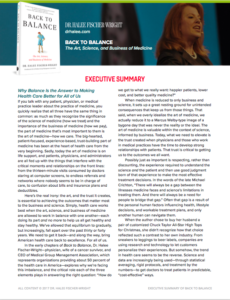 In Back to Balance, Dr. Halee pulls back the curtain on the day-to-day challenges and triumphs in health care to reveal that it doesn’t have to be this way. From twelve medical codes for poisoning by hair replacement products to absurd insurance claim processes to technology that hinders as often as it helps—it’s time to correct the imbalance with common sense and collaboration. It’s time to pay attention to the wisdom of the people on the frontlines. And it’s time we learn how to ask more of the right questions and prioritize time, simplicity, outcomes, and relationships. 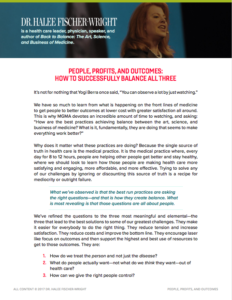 Whether you’re a provider, a patient, or a practice leader, this is the rare book that will change how you think about health care—and what we can all do to make it better. 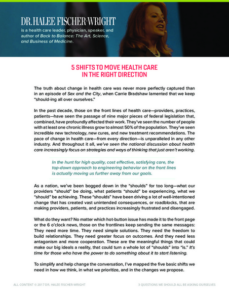 What are the things we refuse to talk about in health care and why do they matter?